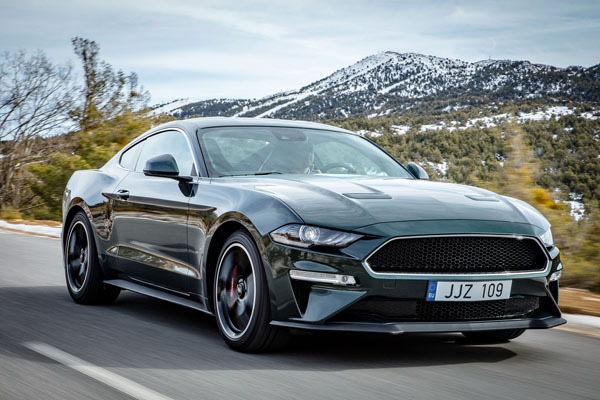 Ford Mustang Bullitt, a special edition of a legendary car, will go on sale in Australia on October 17, 2018, priced at a stunningly low $73,688. 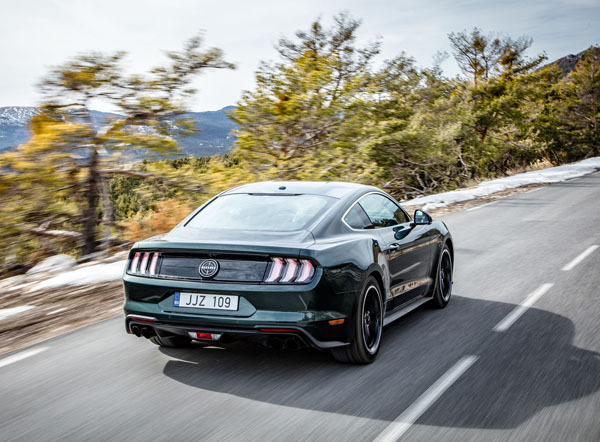 Bullitt, the most powerful Mustang sold to date by Ford Australia, is named for arguably the best ever car-chase in movie history – ‘Bullitt’. Detective Lieutenant Frank Bullitt, played by a stoney-faced Steve McQueen, drove a green Mustang Fastback over the rollercoaster hills of San Francisco streets in a chase with the car it leaping and landing over spectacular inner-city intersections. This October’s Bullitt landing will be the first Australian shipment of the 700 Bullitts earmarked for Downunder buyers. Each will have its own individual number etched into the passenger side’s Bullitt plaque. All will be finished exclusively in Dark Highland Green with gloss-black 19-inch Torq Thrust-style alloys. Fascinatingly, the regular Mustang badging has been removed, leaving the Bullitt fuel filler cap as the only external identification. Based on the updated-for-2018 Mustang GT launched here only a few weeks ago, the Bullitt will be sold only as a V8 manual. The Coyote V8 5.0-litre has been upgraded, with an Open Air induction system and intake manifold with 87mm throttle bodies, a Ford Racing air-filter and has a Powertrain Control Module (PCM) shared with the Shelby Mustang GT350. Mustang’s Active Valve Exhaust systems comes with four modes. Outputs are 475 horsepower / 345kW, and 556Nm. The V8 drives the rear wheels (duh!) via a six-speed manual gearbox. There’s no automatic transmission option. Excellent! Those who aren’t comfortable with manual driving will be aided by Mustang’s rev-matching system. It even blips the engine on downshifts to add to the driving excitement. Ford’s MagneRide suspension is standard, as are Brembo brakes with red calipers. Optional Recaro seats are available from the factory and we reckon they’re likely to score close to 100 per cent when it comes to ticking the extras’ boxes. Keen to get your backside into a Bullitt Mustang? Then the sooner you contact your local Ford dealer the better. All the more so if you have a particular ID number in mind.